It’s critical to accurately monitor and control pressure fluctuations on any irrigation system – and more so on low pressure system. Sprinklers and applicators are designed to operate within a range of pressures and flows that provide optimal performance. Small changes in pressure can quickly become large flow variations. Pressure regulators maintain an applicator’s flow and distribution uniformity while increasing a system’s efficiency. When the pressure produced by a pump is too high, a regulator can be used to help prevent over-watering, runoff and plant disease. Why do I need a Regulator? 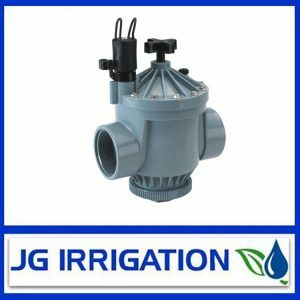 No matter what type of irrigation system you install – be it drip or sprinklers – correct system pressure is essential for optimal distribution uniformity and proper flow through the drippers. Drippers and sprinklers are made to operate within a specific range of flow and pressure. Do Your drippers blow off the line or is the flow greater than it should be, then you need a pressure regulator. All Pressure Regulators have a 20mm BSP inlet and outlet. Senninger PSR Wide Flow Range Regulator 1.9 – 57 LPM.